A healthy ecosystem for supporting open source in the long term. When we started Open Collective, a year ago now, we set out to enable communities around the world to gain economic power by removing the friction they faced to crowdfund. We immediately felt a strong pull from the open source community; the need to find funding to be sustainable was strong. We started by building a platform that would allow sponsors and backers to support them financially. We are now taking the next step, enabling collectives to move beyond the charity framework because goodwill only takes you so far. We need to shift gears and bring forward a new framework where supporting open source provides tangible value. 2017 for Open Collective will be about experimenting with building the tools that the collectives need to be able to offer services to the companies and backers that support them. Our goal is to provide an infrastructure that communities can use to be self sustainable, thus creating an environment where everyone — contributors, backers, sponsors — get concrete benefits out of it. In this light, together with Webpack, we launched the first two initiatives, Office hours and Swag Shop (You can read Webpack’s launch blog post here). We’d like to encourage many other projects to pick them up! Office Hours and in-house training: All companies use open source in their product development. But whenever they stumble upon an issue, they have no place to go for support. A quick chat with a core maintainer could help them save tons of time and become more efficient. Office hours are set times where sponsors have free reign to ask how something looks, questions about internals, suggestions on implementation, overall guidance, advice and teaching. Access to office hours and in house training for their engineers is part of a more sustainable path to ensure open source for the future. 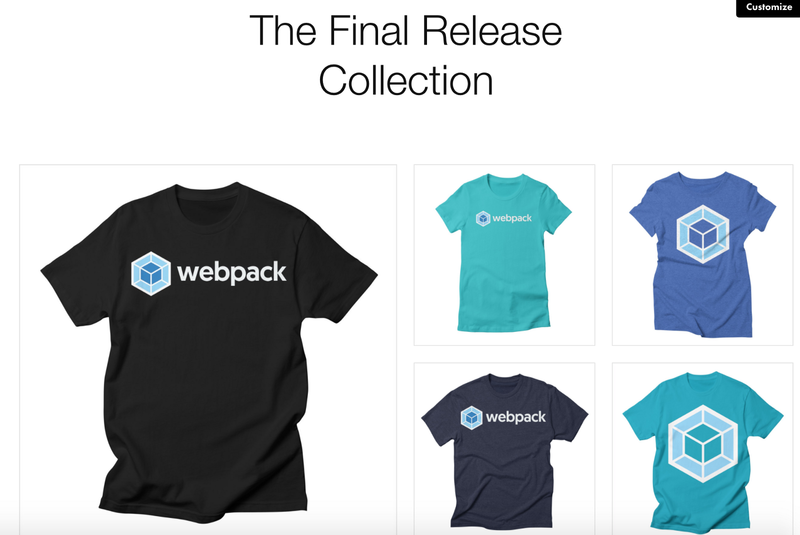 Swag Shop: We set up a shop to sell webpack-branded apparel. Backers can support Webpack by directly buying swag on Threadless and the proceeds go to their collective — friction free for the maintainers! We are currently working together with Threadless to automate this process for all collectives. Our goal is to reassess the way companies see their relations with open source communities. They can now think of these as communities that give them the support they need to make their engineering team much more productive. In this framework we can build a robust ecosystem for sustaining open source in the long term. One where everyone involved gets tangible value out of it.